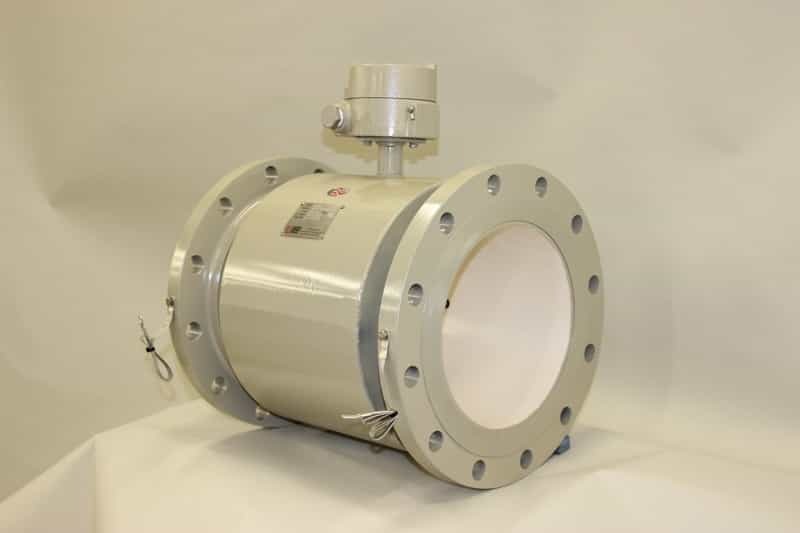 Custom magnetic flowmeters with erosion and abrasion resistant designs capable of withstanding a variety of highly erosive applications and corrosive slurries. Magmeters with liners made from specialty materials like magnesia stabilized zirconia ceramic, aluminum oxide ceramic, polyurethane rubber, neoprene rubber, Linatex, teflon, rotationally molded tefzel, and others; custom electrodes made of stainless steel, Hastalloy B/C, titanium, platinum, tungsten carbide; exotic tube constructions such as 100% titanium, customer specified lay lengths; and specialty coatings such as marine epoxy paints, powder coatings, and custom colors. Liners: magnesia stabilized zirconia ceramic, aluminum oxide ceramic, polyurethane rubber, neoprene rubber, Linatex, Teflon (PTFE), rotationally molded tefzel (ETFE), PFA, and others. Electrodes: SS, Hastelloy C (C-276), Hastelloy B, zirconium, titanium, platinum/iridium, solid tungsten carbide, tungsten carbide coating, etc. Specialty Coatings: epoxy paints, powder coat, custom colors, etc. Measurement of extremely abrasive slurries in Mining, Dredging, Fracking, and Oil and Gas Exploration (will not measure oil or gas).